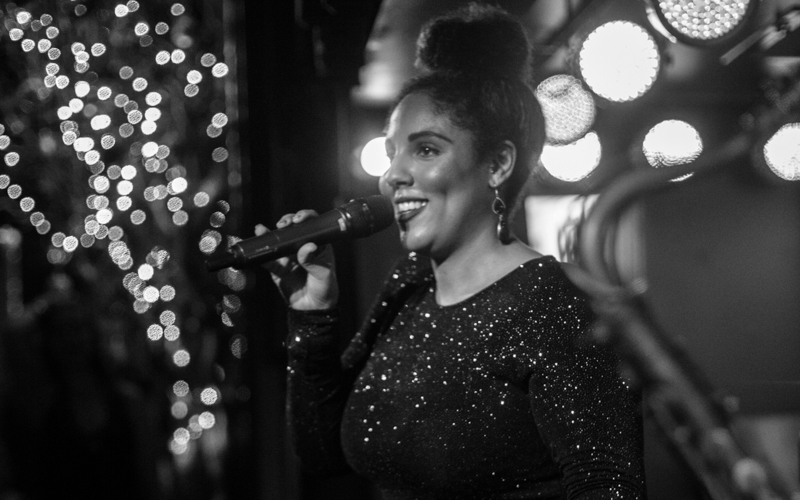 With Greek/Jamaican parentage, Lauren’s unique soulful sound can be likened to Etta James and Tina Turner with influences from “the old records my dad used to play every sunday” like Luthar Vandross, Michael Jackson and Tracey Chapman. Since completing a vocal performance degree at the Institute of Contemporary Music Performance, Lauren has earned herself a great reputation both in the recording and live music industry. Her powerful vocals have been lent to many dance music producers including Mob Tactics, Andy Cato (Groove Armada) and Crystal Fighters. Singing and touring live with Rita Ora, Jess Glynne, Ella Eyre, Kwabs, The Brand New Heavies, Soul II Soul, Rod Stewart, Hurts and more has taken Lauren as far as Japan, South Africa and Abu Dhabi giving her a wealth of on stage experience. She has had the pleasure of appearing on TV shows such as Top of the Pops, Sunday Brunch, TFI Friday and Jools Holland and heard on Radio 1’s Live lounge. When she isn’t abroad, Lauren can be heard fronting her own bands ranging in genre from Blues to Ska.